If Evernote is your digital file drawer of choice, you should know that are a range of handy iOS apps designed to add content to your cloud notebooks without having to launch the app itself. Last year we mentioned five apps that integrate with Evernote, and since then several other apps have bolstered Evernote’s third-party app support even further. If you’re new to Evernote, download our free unofficial manual for getting started. At the top of our list is the newly redesigned and improved EverClip 2, which serves as a web and note clipper for Evernote. One significant reason why the new version of EverClip might be worth the price of the upgrade is that EverClip can now act as a system-wide history clipboard for iOS devices. When opened in the background, EverClip can save clippings from other apps, and there’s no longer a time limit for recording clippings. Each time EverClip saves copied text, URLs, or even images, it makes a short beep after each recording, and it saves and groups all clippings from the same URL into single note. After sleeping your iOS device (locking it once and unlocking), EverClip will stop recording in the background until you relaunch the app. You can also manually close the app to pause recordings. When relaunched, EverClip will ask permission to clip the current content on your device’s clipboard – for this reason, privacy concerns shouldn’t arise too often. Everclip categorizes clippings by date, and clippings can be saved to a default or a manually-specified notebook in your Evernote account, with default tags and location assigned. 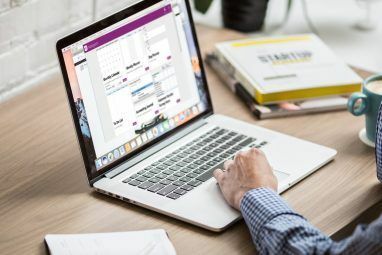 The first line of each clipping or group of clippings is used for Evernote titles, and the contents of clippings can be edited before they are sent. Unfortunately, each clipping or group of clippings has to be manually sent to Evernote. It would be great if users had the option to either batch send clippings, or even somehow have them automatically sent when the app is open. After clippings are copied to Evernote, they are automatically removed from the EverClip clipboard. As with its previous version, EverClip downloads articles from webpages, but now it also includes a built-in highlighter, similar to the highlighter in Evernote. The text editor in EverClip also includes bold, italic, strikethrough formatting tools. EverClip unfortunately removed a few features that previously appeared in the app, including a way to manually combine clips from different web pages into a single note, and the ability to open links within clips in its in-app web browser. Despite these few limitations, EverClip is a handy tool for getting notes into Evernote without constantly having to switch back and forth between applications. If you want to quickly save web pages from mobile Safari, EverWebClipper can do it with a single tap using a Safari bookmarklet. EverWebClipper saves selected articles to a default or specified notebook. You can enable a feature called auto-clip which means that when a URL is copied in Safari, a notification drops down from the top of the page which provides the option for sending the page to EveryWebClipper where it can in turn be saved to Evernote. The feature also allows users to immediately switch back to Safari after the content is saved. Mercury exports read-only versions of web pages, while Dolphine and iCab provide the option to clip the article from a webpage or export an entire page to a specified notebook. Diigo exports just the title and URL of a selected page. The OCR iPhone app, eHighlighter, reviewed here The Best iPad Apps for Highlighting and Reviewing PDFs, Webpages, and Ebooks The Best iPad Apps for Highlighting and Reviewing PDFs, Webpages, and Ebooks If you want to move beyond dry pens and yellow markers for reading and studying purposes, the iPad is perfectly designed for reading, highlighting, and annotating ebooks, PDFs, and other documents. Read More , also allows users to export scanned passages from paper books to Evernote. Unfortunately, though, you can’t batch select and send multiple notes at a time. Many Evernote users like to clip and save articles from various webpages. The read-it-later service and iOS app Pocket Get More Out Of Pocket With These 6 Tips To Enhance Your Reading Experience Get More Out Of Pocket With These 6 Tips To Enhance Your Reading Experience While Pocket is simple and easy-to-use, there are a few ways you can make the experience of using the service even better. Whether it's finding interesting ways to save content to your Pocket account, or... Read More (shown below), and popular read-it-later app Instapaper Read-Later App Instapaper Introduces Their New iOS7-Ready App Read-Later App Instapaper Introduces Their New iOS7-Ready App Instapaper is yet another app with a shiny redesigned interface for iOS7. It gives you a Readability-style stripped down version of the article, and you can now sort and filter by shortest to longest. Read More (Free) share selected articles to a designated Evernote notebook. The magazine style app, Zite, can share articles to Evernote as well, but it only exports the headline and the URL link. RSS feed service Feedly for iOS and Feedly for Android, allows for single tap sharing to Evernote, but it requires a pro version upgrade to do so. You can however use the free version of Feedly to send articles to Evernote via email using your unique Evernote email address, found on the settings page of your Evernote account. Another way to use RSS feeds and related apps is to incorporate the automation tool, IFTTT, which includes several Evernote related recipes. For instance, this recipe can convert any item you mark as favorite in Pocket to PDF or PNG format, then save it directly to one of your designated Evernote notebooks. Another IFTTT recipe allows for saving your favorited tweets directly to Evernote. If you prefer saving and reading articles in your Evernote, check out Nancy’s article about how to actually turn Evernote into an RSS Reader using IFTTT Turn Evernote Into An RSS Reader In A Few Easy Steps Turn Evernote Into An RSS Reader In A Few Easy Steps Evernote's flexibility allows the service to be used in a wide variety of ways. Let's see how you can turn Evernote into an RSS reader using a few simple IFTTT recipes. Read More . And if you’re new to the IFTTT, download our free IFTTT guide to help you get started using the service. IFTTT can be used online but the iOS version of the IFTTT is better for browsing and setting up automations. In addition to Evernote’s own supporting apps, like Evernote Food for meals and recipes, Evernote Food: A Beautiful Way to Keep Track of Your Favorite Meals, Recipes, and Restaurants [Android] Evernote Food: A Beautiful Way to Keep Track of Your Favorite Meals, Recipes, and Restaurants [Android] What'd you have for breakfast this morning? How about two weeks ago? And hey, remember that time you and your friends went to that really fancy Japanese restaurant? If you're a bit fuzzy on the... Read More the contacts apps, Hello Evernote Hello 2.0, The Cutting Edge Way To Add Contacts To Your iPhone Evernote Hello 2.0, The Cutting Edge Way To Add Contacts To Your iPhone If you're an iPhone user who regularly attends conferences and social networks in which you collect business cards, or the names and email addresses of people you meet, you definitely should check out the newly... Read More , and the drawing app, Penultimate Learn How To Sketchnote With The Penultimate App For The iPad Learn How To Sketchnote With The Penultimate App For The iPad I recently wrote an article about sketchnoting, an approach to notetaking using both words and drawings. 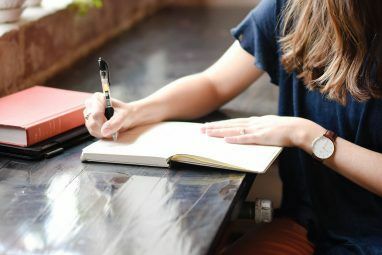 Though many of the examples of sketchnotes you see online are produced by skilled designers and artists, it's important... Read More there are a few other apps that integrate with your Evernote account. 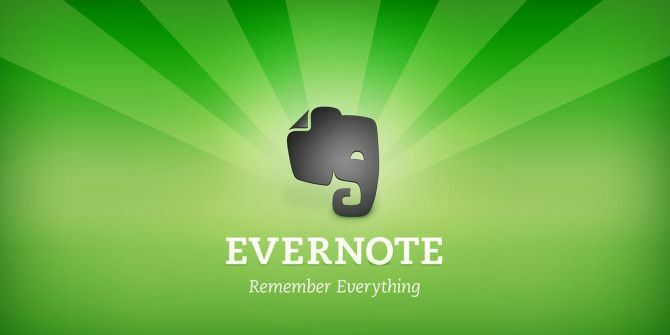 One example is the notebook app, EverMemo, which automatically saves notes to a designated notebook, and saves you the trouble of opening Evernote just to add a few short notes. A notebook app with even tighter Evernote integration is a popular one called, Drafts. When you use Drafts, a new blank document opens, and you can send, prepend, or append the contents of that note to a to a designated Evernote notebook, as well as to other applications including Twitter, Facebook. Check out our step-by-step instructions for using Drafts with Evernote Send Content To Evernote In Record Time Using Drafts For iOS Send Content To Evernote In Record Time Using Drafts For iOS If you're a frequent Evernote user then note-taking app Drafts could save you quite a few taps and little hassle when adding new content from your iPhone or iPad. Read More . Cloud Outliner ($4.99) allows you to export, sync and update content with Evernote Create, Organize & Share Outlines Using Cloud Outliner For iOS & Mac Create, Organize & Share Outlines Using Cloud Outliner For iOS & Mac Outlines are useful for completing writing projects, taking class notes, brainstorming ideas and creating agendas for important meetings. Cloud Outliner is designed to make outlines even better. Read More . This outliner makes it easier than in Evernote to rearrange and edit items in an outline. The above apps offer a handful of useful ways to integrate with Evernote without having to open the application. Check out the Evernote App Center for similar iOS apps and other platforms, and let us know how you automate your note-taking workflow with apps, bookmarklets and IFTTT recipes in the comments below. Great, Bakari! How are you liking it? I know I love the hierarchical lists & sharing capabilities most of all, but what are your thoughts? Sorry, Trent, still haven't had chance to check it out. Bakari- have to back Hildegerd. I'm a big fan of Centrallo and have been since their beta stage. They officially launched last week. Would definitely love to hear your thoughts on it. Trent, thanks for your feedback. I just downloaded the iOS version of app from the app store, and will check it out. One thing the demise of Springpad taught me was that I can't stand Evernote anymore and I want to shut my account down, happily the end users have options in Centrallo (www.centrallo.com), still in beta, but solid. You guys should give it a try. Hildegerd, thanks for letting me know about Centrallo. I'll see about writing article about it. Cool. Here is the google+ Community for us Android Beta testers as well. Hmmm...please check the link there, Bakari. It gave me a 404, but I likewise did a search and found the named article. Evermemo seems a lot like Google Keep. Have you guys written a guide like this for Android? Kelsey, thanks for the question. 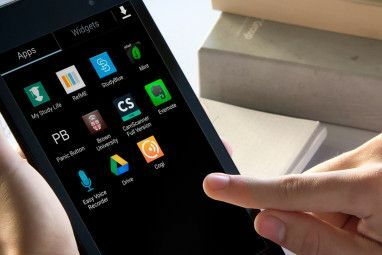 I just did a search of our site, and this is the only article that comes close: 8 Great Evernote Widgets & Add-ons [Android]. Maybe one of our Android users will write a similar article. I have really found Evermemo to be a time saver. It is probably the most minimal of app around. Thanks Saikat, I'll check that one out. I didn't see it when researching the article. Lol, I thought I did, but I didn't double-check before replying back to you. I used Evermemo for a while, but then went back to Drafts for sending notes to specified notebooks.